After many requests and a few botched batches of homemade hand soap made using my previous recipe, I am finally posting my newest and current recipe for our family's hand soap. For the record, I did not have any issues with my old recipe, we used that recipe and that hand soap for a very long time. But, this newer recipe is so simple and so fast to make it takes the cake! I know we are all pressed for time with our busy schedules, so I hope you will enjoy the ease of this hand soap as much as I do. That's it! You're done! You'll be SO happy with this soap and how simple and fast you can make it! The Dr. Bronner's comes in 16-32oz bottles, so you'll be able to make many, many batches of this soap. 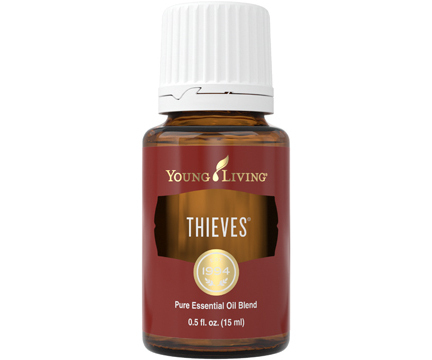 And one 15ml bottle of Thieves essential oil has roughly 240 drops, giving you about 24 bottles of soap (if you're not using your Thieves oil for other purposes). A side note: My family uses this same recipe for body wash as well, but instead of Thieves essential oil we use 10 drops of Gentle Baby, Tea Tree, Patchouli, Orange or other fresh smelling essential oil. We even make our own baby head-to-toe wash using this recipe. Lavender or Sleepize essential oils are great for baby's night time bath wash. If you don't know anything about essential oils feel free to contact me for some education. Can I use this in a regular pump bottle, or do I need to change the ratios since I don't have a foam dispenser? The regular pump bottles don't work. The foam dispensers have a certain kind of pump that allows it to come up as a foam instead of water in your hand basically. So if you don't have one, either buy a foaming soap from bath and body shop to use up before trying or get a pack of 4 from amazon. It's cheaper in a pack than individually.